Confirming your horse’s identification is more important than ever, especially with the mobility of our industry. Luckily with the advance of technology, we have several tools to make this easy to keep up with and maintain. Everyone is well familiarized with the need for a Coggin’s test, and most states still require a new test annually. Now the tests are available digitally through Global Vet Link. They allow for more specific identification – I mean how many bay horses with a star, snip, and left hind fetlock are there out there, and on paper they are identical. Also gone are the days of keeping up with that water-stained yellow piece of paper. Access is through your online account, so you are able to print of as many copies as you would like whenever you need to. Certificates of Veterinary Inspection (health certificates) are an often overlooked piece of information for travel. Legally, a CVI is required any time that a horse crosses state lines, and each state has it’s own set of requirements. Some states even require a permit number that your veterinarian must call to receive. Check out animalregs.com to be sure that you have everything that you need. For those traveling multiple times throughout the year, it might be worth looking into a GoPass, or passport. These are 6 month CVIs that can be issued. A travel itinerary will be completed and then submitted to the state veterinarian at the end of the 6 month period. This eliminates the need to pay for multiple health certificates! A form of identification newer to the horse world is a microchip. These help prevent even the best of digital records to be transferred among horses. The future of microchips will allow for an information registry that will not only help with identification but disease tracking and information storage. Although some have questions about confidentiality of the information linked to a horse, this can offer a more streamlined and easily accessible approach to identification. 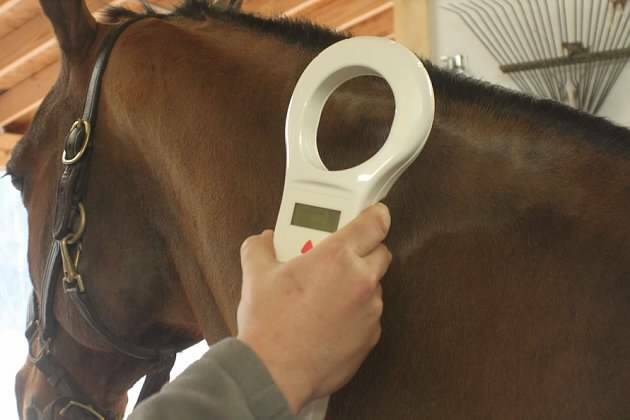 Biothermal microchips are also available that can provide a stress-free way to acquire a temperature on a horse. This can be very useful not only in a potential disease outbreak but also in identifying subclinical disease before more horses are exposed. We know travel papers and identification can be tricky sometimes. If you have any questions, please do not hesitate to let us know!